Growing up as a talented female footballer, Jade Moore had to go in search of worthy opposition – and now at the age of 24 she’s up against the very best in the world. The Worksop-born midfielder came on as a substitute in England’s first game of the Women’s World Cup, but has started every game since, helping the Lionesses to three victories and a place in the quarter-finals. Given that it’s her first sustained run in the international side, some might be surprised by how well she’s coping with life at the game’s top table. But to a man watching the games on television in Dinnington, it’s no surprise at all. Dad Adrian, himself a former Nottingham Forest, Chester, and Worksop Town player, knew Jade was gifted from an early age. “Even when she was six you could see she had ability,” he said. “She was playing with the boys and was better than some of those who were with local academies. “Then she had to play with the girls, but played years above herself. 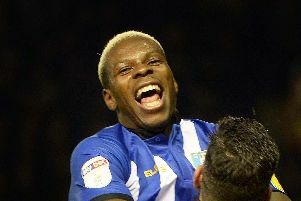 After spells with Lincoln City and Leeds United, Moore was signed by Birmingham City in 2011 and has remained with the Blues. Her life in the England set-up began at just 15, when she represented the Under 17s, and caps followed at Under 19, 20 and 23 levels. A first senior cap came in 2012, but it’s during the current World Cup campaign in Canada that she’s really started to shine in an England shirt. Former Dinnington Comprehensive student Moore is being cheered on by younger brothers Samuel, 12, and William, six, even if they don’t grasp the enormity of her achievements quite yet. And her dad has been expecting it for years, so there’s no wild celebrations or World Cup viewing parties – although you suspect that might change should Moore walk out in the final on 6th July. He said: “Of course we’re very proud of her, but it was an inevitability really. “She’s been playing for England since she was 15. “She’s never played fully in the England senior squad until now, she’s not had a good go at it. “But she’s played three games on the bounce now, and they’ve won every game she’s started. Although Moore has turned professional in her sport, football’s riches have not yet found their way into the women’s game and she still runs a physiotherapy business in Birmingham. “She’s very level headed, she runs her own business, and she’s an ambassador for the charity Cardiac Risk in the Young, after they discovered holes in her heart and she had to have surgery,” he said. “She turned professional, but the only difference now between the men’s game and the women’s game is the money, they don’t lead the same life that the men do. If she’d been born a boy she’d be a multimillionaire. Moore and England face Canada live on BBC 1 on Sunday at 00:30.